Located in more than 735 municipalities in Quebec, the recovery system implemented by Eco-Peinture is now considered one of the most efficient programs in the world. With nearly 1,200 depots open to the public, an average of over 7 million kilos of paint residues and containers are recovered and diverted from landfills each year. Since the program's inception in 2001, our organization has recovered over 85 million kilos of paint waste. Eco-Peinture is a not-for-profit corporation. 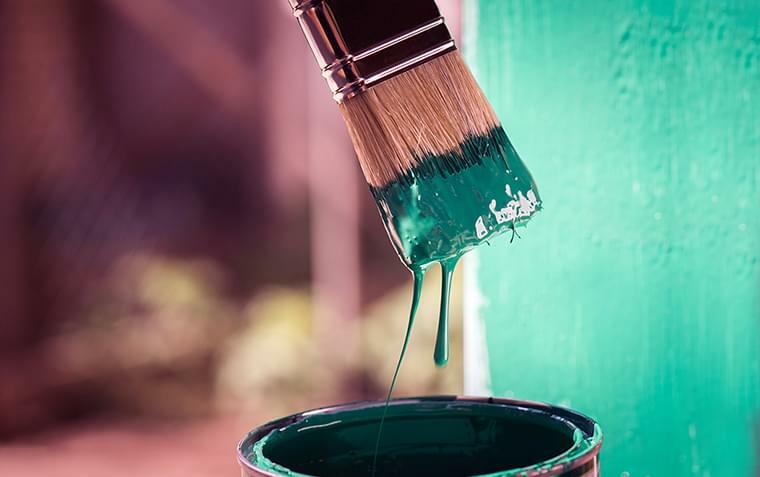 Its mission is to promote and facilitate the recovery of paint residues and containers, to support and promote the recycling of recovered products and to contribute to the setting up of a waste-to-value system. Each year, Éco-Peinture implements strategies to inform, raise awareness and educate the public so that the recovery of paint residues and empty paint containers becomes a habit for everyone. Eco-Peinture rallies 54 member companies that make up almost all retailers, brand owners and manufacturers that market paint in Quebec. To become a member, contact us and don’t forget to fill the notice of intent and send it to RECYC-QUEBEC. 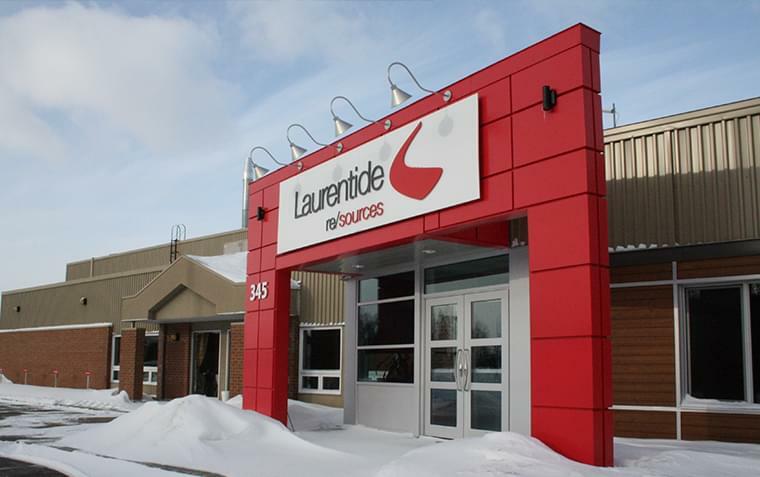 Laurentide re/sources Inc. handles and prepares paint residues sent via Eco-Peinture’s bins to its Victoriaville processing plant. Sorted by colour, transferred and mixed in large tanks, the leftover paint is treated and filtered. A small percentage of additives is then added to ensure quality control. Sold under the trademark Boomerang and RONA Eco, the paint is available in various sizes, ranging from 3.78-litre containers to 1,000-litre containers. The quality of this paint is similar to the average quality of paints sold in Quebec. Besides being far less energy-consuming, it generates fewer greenhouse gases during its production. Materials that cannot be processed, such as adhesives, paint strippers and cement, are sent to companies that specialize in the disposal of such materials. Metal and plastics from paint containers are compacted, baled and sold as recyclable material.